The novel opens with Kotler and his lover on the run as the ‘scandal’ breaks in the Israeli media. 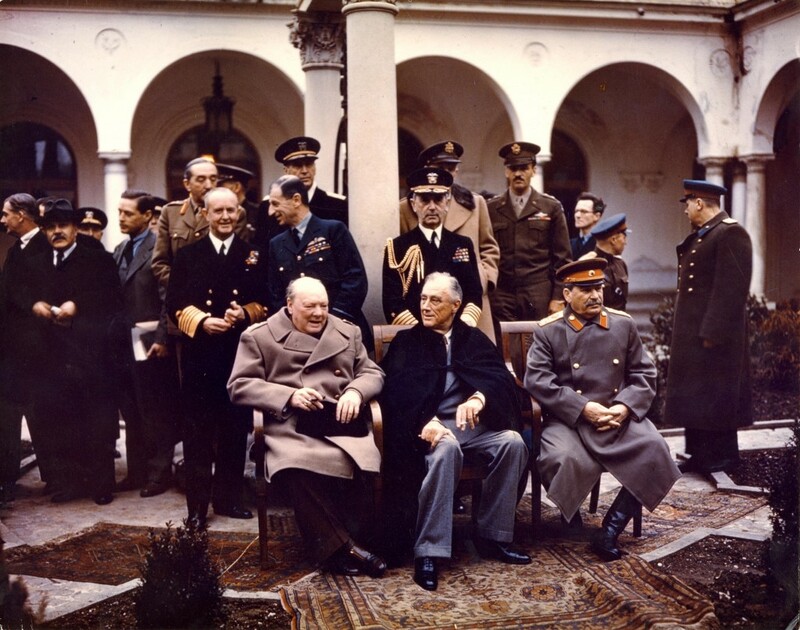 They have come to hole up in Yalta, back to Kotler’s roots, till the media furore dies down. Kotler was last here forty years ago. This is, in many ways, a ‘talking heads’ novel. Not a lot happens externally, the drive of the book is mostly set in the cauldrons of the past, how they still burn and fire the present, and how the central characters Kotler, Leora, Svetlana, Tankilevich, and the added history and present complexities of Kotler’s family – wife, Miriam, daughter Dafna, son, Benzion, a soldier in the Israeli army detailed to clear the settlements, and determined to refuse – will play out with each other. Land! The land!……What dreams (the land) had nurtured and what distortions now obtained. And it was all to do with land. A measure of earth under your feet that you could call your own. Was there a more primitive concept? But nobody lives in the ether. Man is a physical being who requires physical space. And his nature is a prejudicial nature of like and unalike. That was the history of the world. How much earth can you claim with another’s consent? How long can you hold it if you haven’t consent? And is it possible to foster consent where none exists? Who betrayed whom, who is betraying whom, who will be betrayed? Kotler himself is a wry man, a man with humour, so his observations prevent the book from being unremittingly bleak. 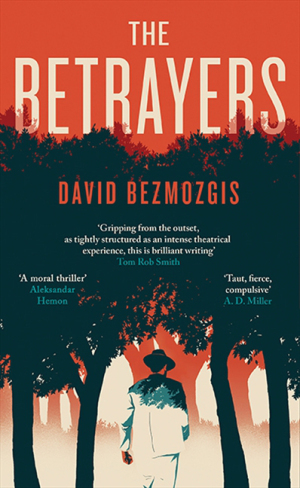 Something about the complex subject matter of betrayal, of examination of loyalty – to whom, and to what are we loyal, reminded me of Coetzee. One of the strengths of the book is that while politics – how it influences the individual, and what the influence of many individuals on politics might be – is central to the book, Bezmozgis is not indulging in polemics – we hear the different stories of individuals, their justifications and viewpoints. 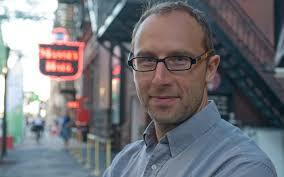 Sean Michaels is a Canadian author, though born in Scotland, so maybe he can be claimed North of the Border!. 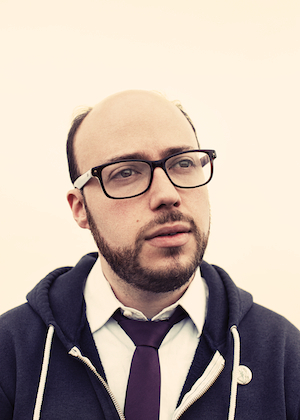 He is known as the founder of a long-standing music blog, Said The Gramophone, and is also North American music correspondent for The Guardian. Lev Sergeyvich Termen is not the voice of the ether. He is not the principle that turned glass into firefly. I am an instrument. I am a sound , being sounded, music being made, blood, salt and water manipulated inair. I come from Leningrad. With my bare hands, I have killed one man. I was born on August 15th, 1896, and at that instant I became an object moving through space toward you. Termen was a believer in the Russian Revolution, and in his country. He travelled to America as part of a trade initiative for Russia, between the wars. The theremin, and his other electronic inventions presented opportunities to demonstrate the dynamism of Russia, the brilliance of its scientists, and to generate capital. Also, it appears that under the aegis of trade, espionage possibilities were possible. 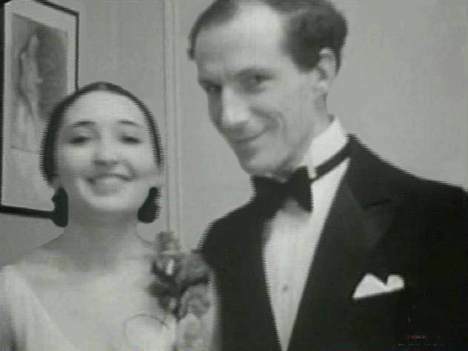 In America, which Termen found an exciting country, and one which welcomed his brilliance, both as someone who was an artist, and as someone who was a scientist, he met a woman who was to completely obsess him – a Lithuanian born violinist, Clara Reisenberg, (later Clara Rockmore). Clara, in her teens, developed bone problems which cut short her burgeoning career as a violin virtuoso. 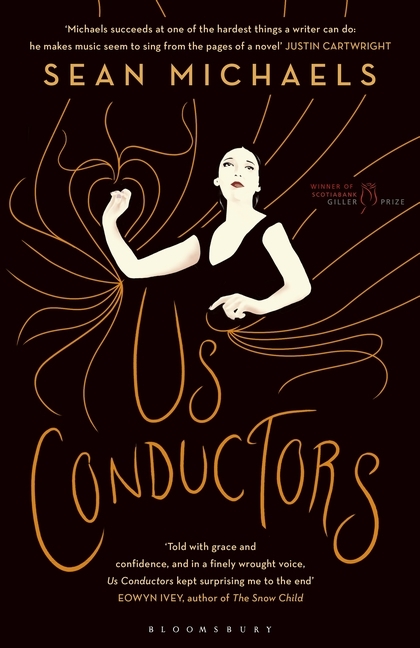 However her musicality, and her meeting with Termen and the theremin, meant she studied how to play this, not as some kind of gimmick, but as an instrument in its own right. And I must admit, whilst sourcing media for this review, I listened to many Youtube videos of people playing the theremin, and thought ‘well it’s a bit of a gimmick, really’, until finding some recordings of Clara. Here she is playing Saint Saens’ The Swan. Although Termen by all accounts proposed to Clara several times, she married another. Meanwhile, Termen was inventing various security devices as well as refining musical ones, but was probably involved in darker matters. His loyalty to his mother country and those who were ‘minding’ him in his sojourn in America, led to his involvement as an industrial spy for Russia. And then, in 1938 he was suddenly recalled to Russia, where he found himself regarded as a class enemy, was imprisoned and sent to the gulag. These are the bare bones of the book, a story of a man with a rather remarkable life, but this is far more than a biography, it is of course a work of literary fiction, a gorgeous thing, a meditation on the power of music and art, on politics, on Russia, on love as a compass needle for a life. It is obvious, reading all the citings, that Rappaport researches profoundly, but what I really appreciate is her writer’s ability to put what can sometimes be a little dusty into living, breathing fascination. She recounts a very personal story of what seems to have been a fairly bourgeois, close knit family – except that of course they weren’t because of accidents of birth. Mr and Mrs Romanov might have done quite well as a modest bourgeois couple, but as Tsar and Tsaritsa circumstance and character were explosive combinations. I found myself ever more firmly convinced of the inherent cruelty of monarchy as an institution – to monarchs themselves. To be born with the stifling weight of inherited duty with no get-out – except of course abdication, but if you have been reared and indoctrinated that this is your duty from the start, I would imagine walking away from your destiny would be quite a struggle. Being a ‘good king’ for the demands of the time must be a pretty impossible task. Imperial Russia had had strong autocrats, Nicholas was essentially, at least from the books I have read, a decent family man, but lacked the grit needed to rule. In fact, he and Alexandra tried to raise their children in a more everyday, less imperial way – and they had flack for that from some quarters, and of course flack from other quarters because the family tended to keep themselves to themselves and did not participate in glittering public displays – because of the secret of Alexei’s haemophilia. I recently read a much older text on the Romanov’s – Robert Massie’s. Rappaport brings a female, sensibility into this, and has delineated the contrast between changing and more enlightened views around female succession in the rest of Europe and America, with the implacable autocracy of male succession, at that time, in Russia. Rappaport focuses much less on the twists and turns of Russia’s political history than Massie, her aim is to give individuality and identity back to each of the four sisters, who were always rather marginalised by history because succession resided in sons, not daughters. History rather treated them as an interchangeable job lot. Rappaport has breathed posthumous life into them, so the reader senses each of them as a unique being, who had the misfortune to be brutally sacrificed on the alter of a political ideology, some of whose leaders seemed far less motivated by the heart of egalitarian politics, and far more acting out evidence of their own psychopathology. I have one cavil with this book – it reinforces how unfit for purpose the digital format is for non-fiction books, particularly source and research heavy. Admittedly, my review copy was not fully functional, so that chapter notes did not link to their relevant references – but even when this is properly done, it is a much more fiddly and long winded operation to locate the reference as you read, something so easily done with strategically placed bookmarks in a ‘real’ book. Likewise, referring back to the cast of characters with all their many names, at the beginning, was far more challenging than it should have been. Rappaport also likes using footnotes at the bottom of pages, as well as ‘Harvard’. Personally, I prefer in-text notes like this, rather than at the end of the book, but even this is rendered ridiculous on the Kindle, where one page of a book may be spread over 3 or 4 pages of the reader, so that the footnote inexplicably appears in a disconnected fashion within the text. My ARC had no photographs. I am assuming that this, and the footnoting and the in-text referencing problems will be addressed in any post-publication eReader version, but still, dear reader, do yourself a favour and buy the physical book, for a more seamless, engaging read! This is a re-issue of a book originally published in 1967, later made into a film in 1971. Like any book, (indeed like any event) it is of its time, and of the subjectivity of its writer in its time. Written therefore while the Cold War was still extant, it may show the fact that what we know/knew of Russia at that time will have certain aspects hidden, and also that how America itself perceived Russia will be of a certain aspect. We are all affected by the view from where we are. Given the title of the book, the focus lies particularly upon the last Romanovs, vilified, at the time from within, just as the revolutionaries were at that time vilified from without. We all have our views to defend. History and historical analysis must also be partial, as the historian also has a partiality. What emerges from Massie’s interesting, rather sympathetic account of the Romanovs is a view of history which inevitably focuses on personalities in time. Massie puts the whole vastness of Russia, its mysticism, its reactionary, god-fearing backwardness in many ways, as well as the cauldron for revolution-in-reaction, under a microscope, but the Romanovs are viewed more closely. His conclusions place the haemophilia of Alexis (knowledge hidden, at the time, from the Russian population at large, who therefore had certain views about Alexandra’s coldness which perhaps may have been interpreted differently) as central to what transpired, since it placed her under the influence of Rasputin, and meant, when Nicolas was focusing on Russia at War, that Ministers were being promoted and sacked with dizzying frequency based purely on the relationship between the Minister and the Starets. He concludes history would have been vastly different without the Heir’s haemophilia. Massie’s own son was also haemophiliac, so the centrality of this may also have been filtered through the writer’s viewpoint. We all filter from where we stand. There is a view of history which says that if these particular people had not existed at these particular times then the times itself would have thrown up others who fulfilled their exact function or place. Whilst its true that there is a culture which begets us which we, as masses, absorb, so that history can be seen as mass, rather than individual movements, it is also, surely, true that individuals do leave their mark upon history, and shape it, for good or ill. In Massie’s account the Romanovs were not the monsters painted by the Bolsheviks, who of course had good reason to foster a painting of monstrosity, rather, autocracy itself, whoever is at its head, is problematic. The brutality of the murder of the Romanovs shows a mind-set of ends-justifies-means which continued in the autocracy which came after. This was a rather difficult book to read on Kindle, where (quite common with non-fiction) it becomes less easy to search an index than in a paper book. At least this is the case with my Keyboard Kindle. This is a beautifully written novel, combining various motifs – myth and fairy story, the search for true love, the Russian Revolution, the childrens’ writer Arthur Ransome (Swallows and Amazons) and espionage. 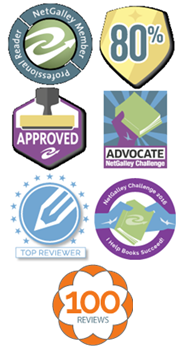 As each and every one of these motifs are appealing or fascinating to me, I didn’t see how this book could fail me. And it didn’t! The story of how the children’s writer Arthur Ransome had a life as a spy, initially going to Russia to research folk-lore and fairy, and becoming a sympathiser of the Bolshevik cause was something I had no idea about – Sedgwick’s marriage of subject matter is pretty perfect! The book is marketed at I guess an early teens reader with an interest in a few of the above motifs, But his writing is too good to let his teen audience have him all to themselves; like Ransome himself, and more modern ‘childrens’ writers’ like Alan Garner, Philip Pullman etc there’s great pleasure for us ‘well grown up readers too’.